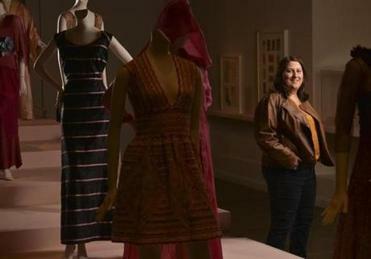 Boston-area cultural institutions are reaching out to young professionals in all sorts of industries. But one rich sector might just prove elusive. WHEN CHINESE CLASSICAL PIANIST Yuja Wang took the stage in a short, flaming-red dress and impossibly high black heels, it was obvious that this was no ordinary Thursday night at the Boston Symphony Orchestra. As she performed Prokofiev’s Piano Concerto No. 2, the 27-year-old stood out in a sea of older musicians wearing black. So far this season, more than 100 young professionals have bought into the program, which will also include a trip to Tanglewood this summer and a Holiday Pops concert. After Wang’s concert was over, about two dozen migrated to a low-key reception downstairs in Symphony Hall, where they hit the open bar and mingled at high-top tables. I made my way around the room and found a mix of classical music fans and BSO first-timers, most in their 20s or 30s. And although they tended to hold jobs at many of the big movers of Boston’s economy — education, finance, medical research, nonprofits — the city’s tech sector was conspicuously underrepresented. Two Web developers I met at intermission had never heard of YoPro. The scene was telling, and fairly typical. The BSO, like many major arts organizations in Greater Boston and beyond, is not targeting specific professions to find future donors. Instead, these institutions are courting a broad swath of younger people in hopes of filling their halls with lots of fresh faces and locking down loyalty along the way. By casting such a wide net, however, they could be leaving money from the tech community on the table. 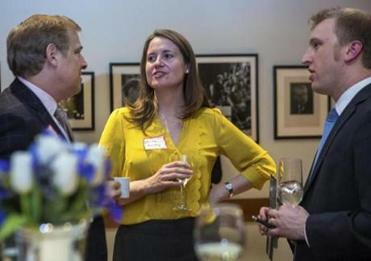 A BSO cocktail party drew young professionals following a Yuja Wang concert. This state’s innovation economy, which comprises fields as diverse as big data and biotech, is already formidable — and growing fast. The industry has added 50,000 jobs in the past eight years and now accounts for 38 percent of the Commonwealth’s workforce, according to a 2014 report from the Massachusetts Technology Collaborative. On top of that, these workers tend to have money to spend: The average industry salary in Boston is nearly $95,000, up more than 6 percent since 2011, according to a recent survey. But the challenge, experts say, is that this sector’s army of workers doesn’t always play by the old rules of giving. Google executive Rich Miner helps the ICA strategize how to connect with the tech community. 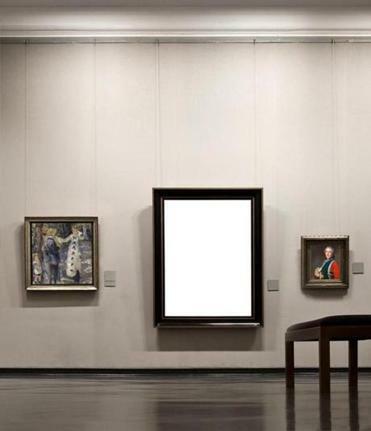 SPEND SOME TIME looking at the donor boards of most big art and cultural institutions around town, and you’ll see lots of names from the worlds of finance, law, real estate, and other industries. But unlike those old-guard supporters, some of whom have given to the city’s cultural institutions for generations, few wealth holders from the new high-tech world have as deep a history with patronage, says Paul Schervish, director of the Center on Wealth and Philanthropy at Boston College. Many are transplants from elsewhere, without deep family or professional ties to the area. The ICA’s First Friday events are popular with younger patrons. Fagnan, a partner at the Cambridge VC firm Atlas Venture, launched TUGG in 2006 to raise money for innovative nonprofits and social causes. He believed people wanted to make a difference with their time and money, but they didn’t know how. “We started TUGG because we saw so many people that raised their heads up 10 years after college when they got their companies going and said: ‘I want to give back. How do I give back?’ ” he says. Since its founding, TUGG has grown to a network of more than 10,000 tech workers, mostly in Greater Boston, with upward of 80 percent between the ages of 25 and 35. TUGG hosts two big annual fund-raisers, including the Tech Gives Back service day, as well as a wine party that raised $300,000 in one night this year. The group also co-hosts more than a dozen smaller “microfederated” events, including road races, blood drives, and talent shows for “startup nerds” that net between $3,000 and $50,000 apiece. 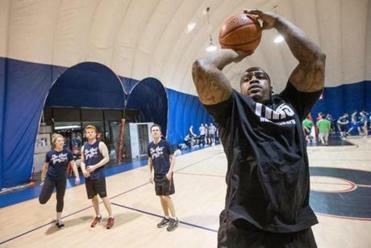 One evening in April, four dozen teams paid to compete in a three-on-three basketball tournament that raised $8,000 for InnerCity Weightlifting, a nonprofit that aims to reduce violence by keeping kids off the streets. Over the years, TUGG has also supported causes such as the Latino STEM Alliance, the Science Club for Girls in Cambridge, and Future Chefs. In total last year, “tuggers” helped raise almost $1 million for more than a dozen charities. 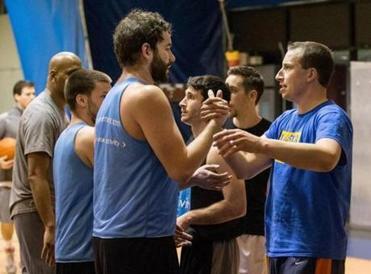 A charity basketball tournament was sponsored by nonprofit Technology Underwriting Greater Good. That’s no small change, but some established arts organizations in the Boston area can collect more in a donation from a single patron; real estate developer Ronald Druker, for instance, gave $5 million to the MFA in 2011 for its contemporary art wing. Fagnan, however, is taking the longer view. “We value engagement more than dollar amount,” he says. TUGG’s approach is proving successful at drawing future movers and shakers into philanthropy long before some of them will make it big. “They want to get their hands dirty, and I’m not sure that’s how they think about arts organizations from a philanthropic perspective,” says Jeff Fagnan, founder of (TUGG). In addition, the leaders of the BSO, the MFA, the Isabella Stewart Gardner Museum, and the ICA all say they recognize the importance of building strategic alliances in the tech community. The Gardner recently partnered with Google to become the first museum in the city that provides online visitors a complete virtual walk-through of its collection. And the ICA is working with IDEO, a global innovation and design firm, to develop a digital strategy aimed at broadening the museum’s audience onsite and on the Web. The ICA has a headstart on some other institutions in connecting with the tech community. Director Jill Medvedow has been forming relationships with local tech luminaries since plans were being drawn up for the museum’s new waterfront home back in 2006. The ICA’s boards now include Miner of Google Ventures and Jonathan Seelig, a cofounder of Internet-content delivery giant Akamai Technologies, among others. Medvedow recently toldThe New York Times that new faces on the board helped grow the ICA’s endowment from $1 million to $20 million over the past 15 years, with nearly half of the donations coming from people younger than 50. Biogen Idec marketing team leader Deborah Glasser has a new appreciation for the MFA’s “Think Pink” exhibit after a tour with the curator. When Glasser moved to Boston she looked for a group that reflected her interest and also gave her an opportunity to socialize. She joined an MFA collectors’ group, the Friends of African Oceanic Art, and made lasting friendships, even though the group’s members were an average 30 years her senior. Then she learned there was an option for art aficionados her own age: the MFA’s Museum Council. The council is an unofficial pipeline of future trustees, with some 500 patrons younger than 45. Glasser now sits on the council’s steering committee and has recruited several of her colleagues from Biogen (which matches their donations). “It’s a very different phenotype of person who works here than works on Wall Street,” Glasser says. “I think appealing to that same nature — where you’re spending your time and talents toward working for something for the greater good — is something that could be tapped into to unlock donations and continued support for these institutions.” A $300 annual donation is the minimum to become a council member, but she gives at the patron level, which means $3,000 a year or more. Memberships come with VIP passes and field trips to private collectors’ homes, as well as exclusive access and guided tours of MFA exhibitions, a perk she says has helped demystify the museum’s collection. Shannon Mullen is a freelance journalist. Send comments to magazine@globe.com.